Say No to Wasting Energy. The NC-1991 is Quick-Connect or Multi-System compatible and best suited for commercial or light industrial use. The Multi-System configuration, used with the system controller, allows multiple units (up to 6) to be linked together for large demand applications producing up to .5 to 9.8 gallons per minute. Noritz tankless gas heaters heat up water instantly and have the hot water to your application in a few seconds. An advanced electronic control system ensures an endless hot water supply without temperature fluctuations. 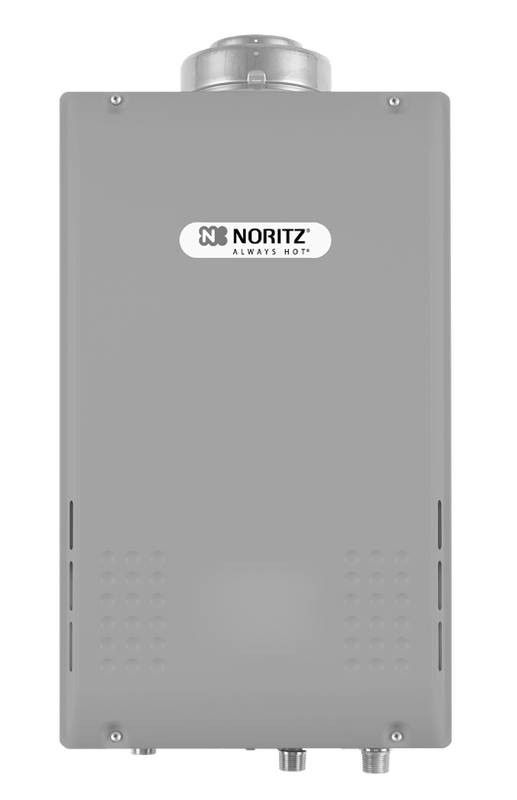 Noritz tankless gas water heaters are designed and manufactured for high efficiency (80-85%) allowing the setting of the hot water temperature and heating intensity. This control saves fuel and water heating costs, which saves the user up to 50% in water heating costs. 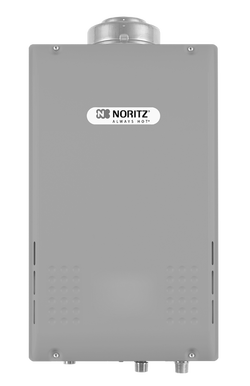 The compact design of Noritz tankless gas water heaters allows installation virtually anywhere, indoor or outdoor. Wall hung, saving valuable space, the unit is extremely durable giving it extended life users and installers have to expect and enjoy. For residential applications we offer a 10-year warranty on the heat exchanger and 3 years on all parts, which is non-prorated. For commercial applications, the warranty is 3 years on the heat exchanger and 3 years on all parts. Noritz cares for your family ensuring a product that is safe and convenient. The electronic Advanced Q Function control system for heating the water helps prevent scalding dangers and sudden bursts of cold water. The copper heat exchanger is coated to prevent corrosion and deterioration, increasing the life of the product. The internal piping is 25% thicker than residential models to extend the lifetime of the heater and combat failure. Our burners use the latest in gas combustion technology, a result from over 50 years of developing and fine tuning tankless technology. This technology maximizes the output while maintaining high efficiency, which also results in low toxic emissions. The Electronic Burner controls use cutting-edge technology to provide endless hot water at a constant temperature. The controls are lacquer coated to help prevent any deterioration of circuit elements.